Epiphytic on the bark of a living tree in the partial shade below the canopy. Eldoret, Kenya, December 2013. 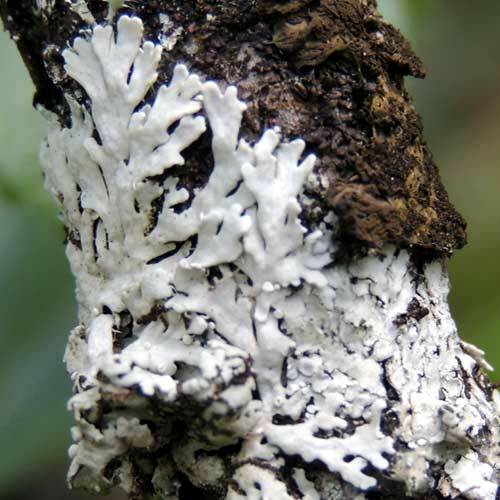 After just a half-dozen visits to Kenya, I must be a bit crazy to think I can also try to learn about the lichens and fungi. With easily tens of thousands of species, the best I can do at this point is gather photos of several distinctive or beautiful species. This one resembles Hypogymnia.